As wedding season starts to pick up speed, my appointment book begins to fill up with the names of grooms- and brides-to-be who want me to help them plan their weddings. In the course of my work, I’ve seen my share of blenders, popcorn poppers, and bath towels arranged on the gift table at a wedding reception. I always admire a guest who comes up with a terrific, personalized gift. 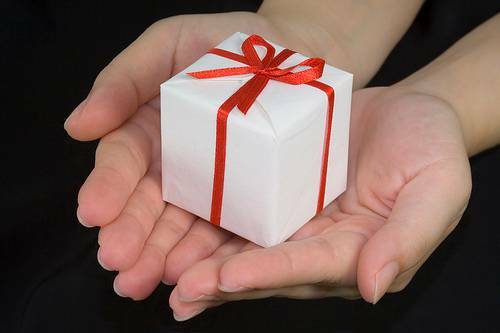 In my opinion, a personalized present comes with an extra element of thoughtfulness from the giver. If you are planning to attend an upcoming wedding, here are a few personalized wedding gift ideas to consider. A Personalized Plate: This is a wedding gift that newlyweds can either display on their mantle or use when serving a delicious meal to family and friends. It would also be a great dish to use for an intimate wedding anniversary dinner for two. 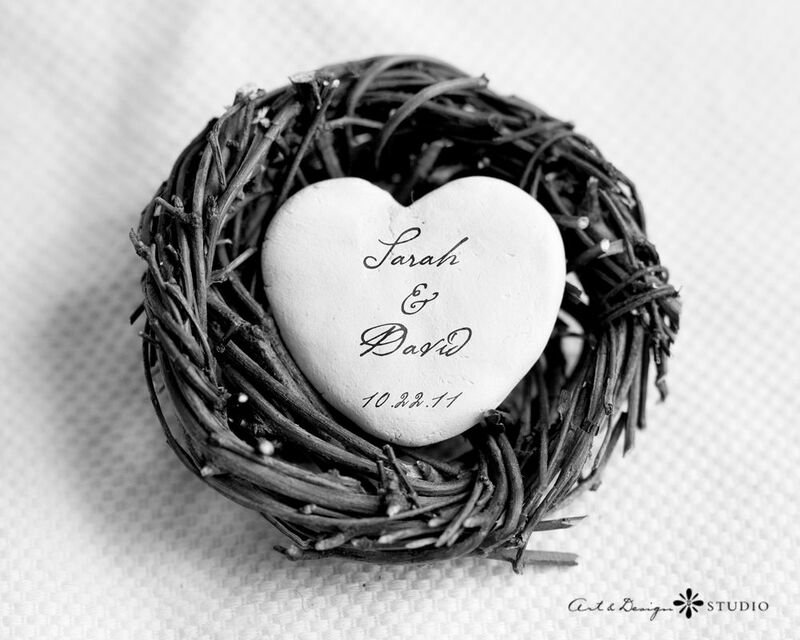 A Simple Decorative Piece: If you want to give your friends a gift that is unique, try this decorative bird’s nest with a personalized heart nestled inside it. I think it would be a great conversation piece in any sitting room. A Clock: A clock is a traditional gift for newlyweds, but this one is personalized. The names of the bride and groom give this clock extra significance and turn it into an instant keepsake. A Lucky Wall Decoration: This is an idea for a person who loves to give funny, unique gifts. 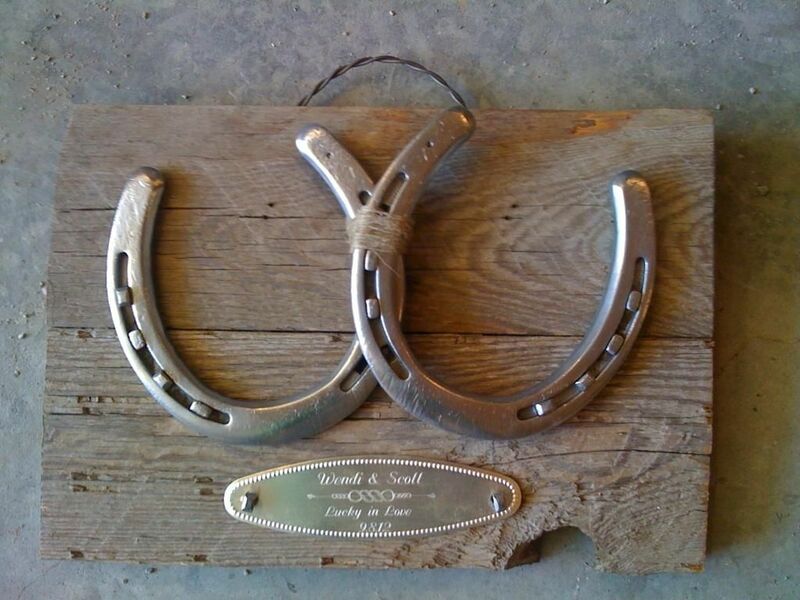 The newlyweds will get a kick out of their personalized horseshoe wall art with the shoes turned upward to keep the luck from leaking out! A Special Ornament: If you are fond of giving DIY gifts, you’ll like this one. It is a simple Christmas ornament with pieces of a couple’s wedding invitation visible inside it. The happy couple will use your gift every year! A Personalized Pillow: Give a couple a personalized gift that they can snuggle with on their sofa in their new home. Personalized Artwork: Take a look at an idea for a DIY wedding gift that has a fairy tale twist! A Wedding Vase: For couples who love to have flowers around their home, this vase is the perfect wedding gift. I suggest that a bride dry the flowers in her wedding bouquet and put them in this vase. A Special Bowl for a Special Couple: Check out this personalized bowl that newlyweds can use for salads, fruit, or even snacks as they enjoy a movie together. They may even want to put it out on display in the kitchen. 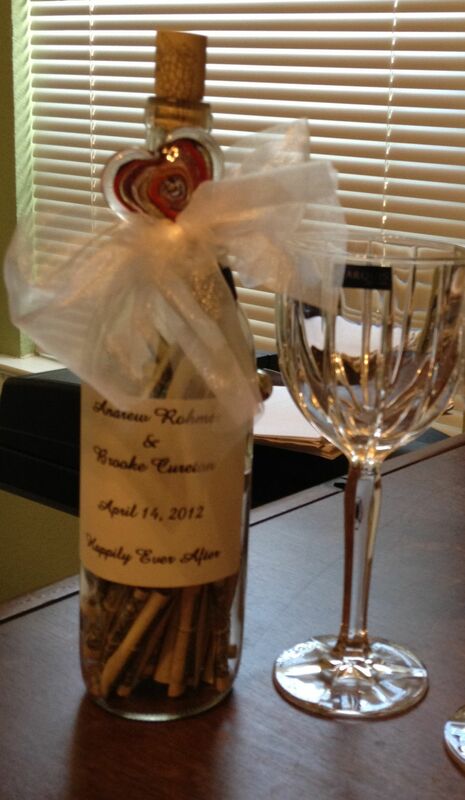 A Wine Bottle with a Twist: You may want to get your friends to donate their wedding gifts of cash to your wine bottle. This bottle has the bride and groom’s name and the wedding date on it. When the money is spent, couples can display this wine bottle on a counter in their kitchen. Champagne Flutes to Treasure: Couples can toast their wedding anniversary every year with these charming champagne flutes.